F13 Smooth Rounded Housing: Eliminates air voids for a smooth, quiet, powerful flow. Proven design won't rust or dent. Backed by a 5-year warranty. 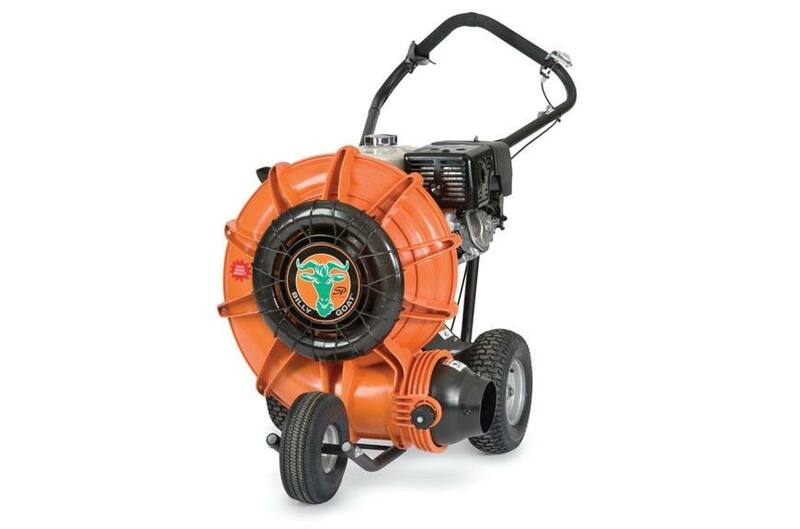 Self-Propelled Option: Forget the fatigue associated with pushing blowers. The 305cc Vanguard engine F1002SPV is self-propelled, offering increased productivity. Quiet Operation: Compared to backpacks and steel blowers, the quiet operation is a welcome relief among users and in neighborhoods. Thicker Padded Handles: Best in class for comfort and productivity. Standard Forward Discharge: Soft rubber design is a snap to install and is perfect for cleaning along walls and fences. Low Weight: Best in class weight so you can finish faster!